Bashar AlKadhi, CEO of Hill+Knowlton Strategies for the MENA region, describes employing the right talent as "unicorns and not easy to find" in the region, while stressing the need for the flux of PR firms setting up shop to properly train their staff to avoid damaging the reputation of the PR industry across the Gulf and wider Middle East. "Finding the right talent is definitely the biggest challenge", he says. "It is definitely something regional; I’ve spoken to my peers in the industry out here and I know that - and with the role of public relations officers also changing, it is all about having the right people, with maturity and curiosity but also with the right the technical skills, and making sure that this is a career for them. "Talent is an issue worldwide, but I would say it is heightened here." Many newcomers feel there is money to be made in the Middle East PR market - especially countries such as the UAE where new laws mean entrepreneurs can now have 100 per cent foreign ownership of companies without a local sponsor. Yet, says AlKadhi, some fail to have proper knowledge of the communication world, which can have a knock-on effect to the industry as a whole. "It is like me saying, ‘I am going to set up a dental surgery, I will come and pull your teeth’," he says. "No. We need specialists; people who are rounded, people who are curious, people who understand what is going on, but also who have the technical skills to do it; how to pitch to a journalist, how to write a story in the proper way, how to have good client relations. People who understand the nuances of what is going on. "Without that, it affects the industry 100 per cent; that is the real danger. People are coming into the industry who don’t quite get it and suddenly leave the industry - but by then, the damage has already been done." This, he says, is why training staff is a core part of Hill+Knowlton Strategies' ethos. "Hill+Knowlton has always been known as a company where people got very good training," says AlKadhi. "Here, for each colleague we have at least 40 hours mandatory training each year. We are proud of our training, but I am sure that not enough people are trained as they should be in the industry and that affects the quality of what they do and that, in turn, affects the reparation of our industry in the region. "So that is something we feel is a risk to the industry here. Sometimes opportunities come and I am not sure people are doing what they could be in the industry because there is not that proper training on the job." Iraq-born AlKadhi made the jump to Hill+Knowlton Strategies in September 2016, after moving from fellow Middle East PR firm ASDA’A Burson-Masteller's chief operating officer position, a title he held for six years. He has previously had several senior PR posts across the Middle East, including director of public affairs at The Coca-Cola Company and senior vice president and group controller at the i2 Group. 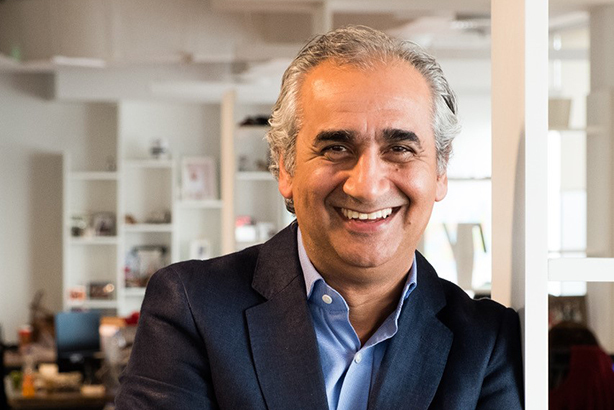 Despite his three decades in communications, AlKadhi feels "some of my best work" has been done in the latter few years, since joining Hill+Knowlton Strategies. He has been responsible for hiring about 100 new employees into Hill+Knowlton Strategies MENA, which has about ten offices across the region, including Turkey, Egypt, the Levant and the Gulf, and employs about 175 staff in total. "My job is to make sure I bring in the right people and, while it is a cliché, the people here are at the heart of what we do. Equally, what is important is the culture we have here. When we hire, we hire of course for technical skills and look for all the things a communications specialist can do, but they have to fit in our culture; and our culture is openness, transparency, a can-do attitude, being responsible and accountable at the same time, fitting into our no-blame culture and all the while, making sure we collaborate and have each other's back so we can deliver good results for our clients. "It is about making our clients happy and our people happy. And, hopefully, if you ask around our offices, everyone is very happy and that is what we are most proud of - that we have retained our culture while growing vertically and horizontally across the region." These are among the reasons why Hill+Knowlton Strategies has enjoyed a high staff retention, says AlKadhi. "We are doing very well and so we do pay well," he says. "So we are at a high end of the industry when it comes to the compensation part which, of course, is important. But there are other factors as well. Just like the UAE is home to so many different nationalities, our offices in the region are home to a staff of 32 different nationalities; it is a big box of people from different backgrounds." With Hill+Knowlton Strategies expanding to a multitude of specialist practices including healthcare and wellness, sports and entertainment, technology, finance services, and energy and industrials, the consultancy company has also moved to hiring people from 'non traditional' backgrounds and training them on the job. "In our financial services practices we have an ex-HR manager, in another are we have an ex-DJ, we also had an ex-professional footballer here. We hired these people because they can communicate in different fields and we have to bring in specialists from the industry. For example, we have a fantastic sports and entertainment industry - so we want people to know what it is really like as opposed to a 'media person' who are very good on content but do not know the industry. So it is a mix of people. It is about bringing in all these different skill-sets and making it mesh. "Is it easy? No. But I think it is easier if you provide the right environment and that is one of my priorities." "It is a very young region, so the way you motivate people, you have to have the right place to work. Hill+Knowlton Strategies were the first international PR shop to gain a foothold in the region, establishing its first office in Bahrain in 1985. "So our presence in the Middle East is deep-rooted," says AlKadhi. "It has gone though the stages of its maturity, but Hill+Knowlton Strategies was known from that time and we have a reputation in the industry; anyone who spends a couple of years with us are known to be very good PR consultants and professionals." Hill+Knowlton Strategies MENA has a multitude of specialist practices and clients include Oracle, LG, Reebok, AFC Asian Cup UAE 2019 Coca-Cola, Twitter, the Executive Council of Dubai, Abu Dhabi Global Market, ADNOC, Masdar, the upcoming World Energy Congress, and Emirates Global Aluminium, among others. "We work with lots of multinational names, but we also have a strong local presence," says AlKadhi. "We have a real mix because, at the end of the day, business is local. So, if you are not strong with local brands then it is not very sustainable." On the horizon, AlKadhi sees a large geographical expansion, and, in particular, has his eyes on what he sees as huge untapped potential in Egypt. "I have an unshakeable belief in the Egyptian market," he says. "There are 100 million people there who love their country and they are not going anywhere, so they need to communicate and do everything else but I think the industry is nowhere where it needs to be. "We are still by far the largest agency there, but in the grand scheme of things - from a revenue point of view - it is not where it should be. I strongly believe there is huge potential there but whether it is this year, next year, over the next three to four years - it is hard to tell. But it will come. "Iraq, too, once it stabilises, is another market. It has a very large economy and a good, educated workforce. So that offers a good untapped sector...whoever gets it right in Iraq will do very well." Further embracing the digital revolution is also high on the agenda at Hill+Knowlton Strategies. "When I walked into here in September 2016, from a digital offering we only had a couple of people doing it," admits AlKadhi. "Now, we have a full studio of art designers, art directors, the best equipment, and really smart people. Over a quarter of all our revenue is now coming from digital work, so I see huge growth in that market, while not forgetting the bread of butter of public relations – the crisis and reputation work, the positioning of companies, and ultimately the storytelling." Another rising trend, says AlKadhi, is social influencers. "We do a lot of influencer work. That is a rising trend, and where is it going? You don’t know. But absolutely there is more investment in influencers. They don’t have to be ‘fashion bloggers’ but influencers can be very serious thinkers whose impact is very high. So it is a total mix. It is all about sharable, bite-size content, put together in the right way." "Much like the region, we have gone through a transformation of our own and we are not going to stop that. We are not going to take our foot off the pedal. Complacency is the biggest enemy. We are very ambitious and very aggressive. We want to grow in the right way, always with an eye to the culture and an eye on detail. "Because in today’s world, one wrong tweet - then you have a problem. And you are only as strong as your weakest link." While he has spent almost 30 years in communications, AlKadhi, who, outside the office is a self-declared "football junkie" and a passionate supporter of Macclesfield Town Football Club, previously trained to be a mechanical engineer before he "fell into PR". "I always say to people, most Iraqi parents give their children a choice and say, ‘if you are not a doctor, what type of engineer do you want to be?’'." It led to AlKadhi, who left Bagdad when he was 16, studying mechanical engineering before he began his foray into communications. AlKadhi, who briefly lived in the UK, spent his 30-year-long communications career in the Middle East and has lived in countries across the region including Morocco, Tunisia, Bahrain, Egypt, Jordan and the UAE.